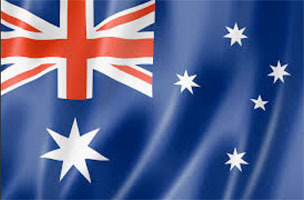 Trailers Down Under sells three styles of dual / tandem axle car carrier trailers; box, semi-flat and flat top. The Box style provides benefits other than carrying your vehicle such as transporting machinery, vehicle parts, rocks, bricks, soil, furniture and more. The lighter Semi Flat top variant provides equally safe towing of your vehicle at a more affordable rate. 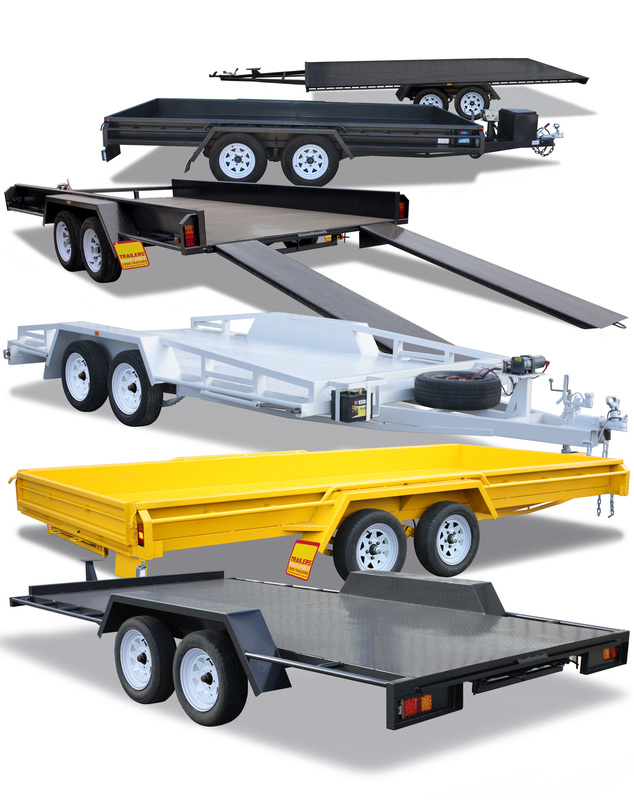 The flat top variant provides towing for wider and heavier vehicles such as light trucks, caravans and more. 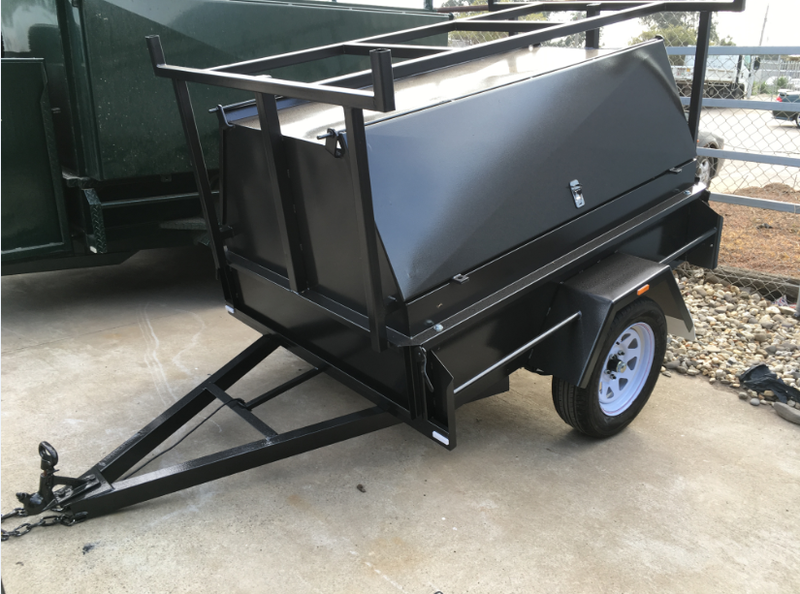 Both the Semi-Flat Top and the Flat-Top can be configured with a beaver tail for easier access. 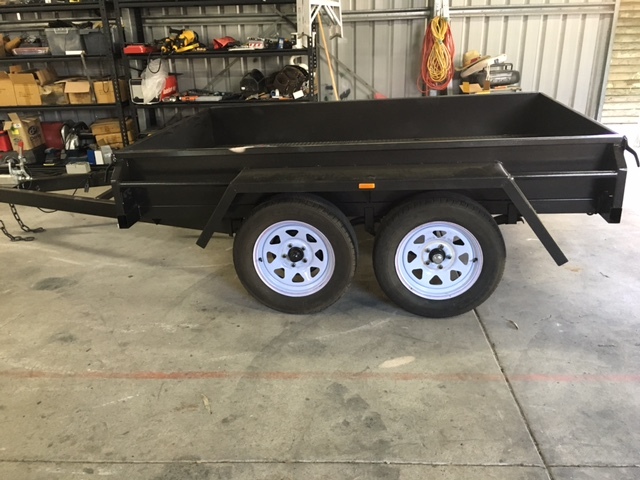 All of our trailers for sale in Brisbane and the Gold Coast are engineered with versatility in mind so that you can customise your new trailer accordingly. 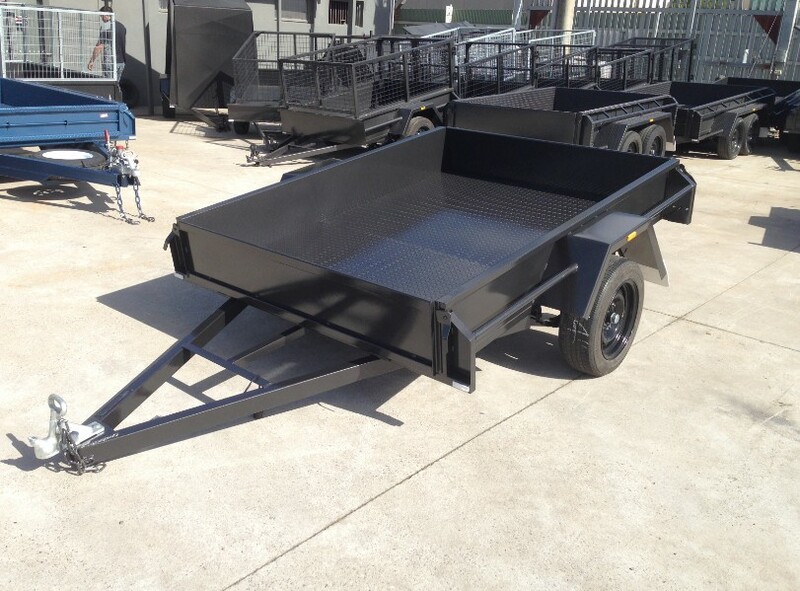 You can specify additional features for your galvanised car trailer such as enhanced safety with electric brake-away systems, a geared manual or electric winch for easy loading and unloading of your vehicle, you may want to a front or side tool box, drop down rear ramp, a cage [box carrier], spare wheel(s) and more. Call us today on 07 3806 2906.